SEEKING EQUILIBRIUM: KETAMINE FOR FIBROMYALGIA? NOT YET. KETAMINE FOR FIBROMYALGIA? NOT YET. On the street it's called Special K.
It's a horse tranquilizer in veterinary medicine. It's a money maker for chronic pain. I get it. 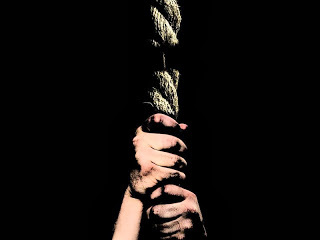 Sometimes the pain gets too much and we're at the end of our rope. We want to reach for something, anything that can promise relief from the pain. We just need to be careful that we are not reaching for something that can do more harm than good. Ketamine infusion therapy is big business in the chronic pain world. A single infusion can cost $2000 a treatment and, believe me, the recommended course is definitely NOT a single treatment. Ketamine is used to produce a loss of conscienceness. It's used as a general anesthetic but because of the hallucinations that it can cause it's not the primary choice. It is used by compounding pharmacies as a cream with lidocaine and ketoprophan as a topical pain reliever. This drug is no joke. It increases your heart rate and blood pressure. It can cause hallucinations, dizziness, nausea, blurred vision, nightmares, memory problems and if used long term liver abnormalities. It induces a state of disassociative anesthesia. There are sites offering Ketamine therapy. Everything about Ketamine states you should be monitored closely due to adverse effects but there are places giving you this therapy on an outpatient basis. Now they do tell you to stay with someone so if you have any ill effects they can get you to a doctor. Gee, that's comforting. I may have someone watching me who hasn't got a medical license and they are the ones to watch for adverse effects? They also tell you that it may not work and this is a totally elective therapy. It gets even better. There is a Ketamine Coma Therapy being offered in other countries. It is given in extremely high doses so that a coma is induced. This, obviously, is not approved by the FDA. Back to the infusions......they tell you that if you want it YOU NEED TO SATISFY YOURSELF by the research YOU DO through search engines. In other words, we just give it to you and if there's a problem you should have done better research. To me, that borders on negligence. We need qualified people that will tell us the realities of medicine and what it can do. We shouldn't be the ones doing the search and then telling the doctor it's ok. It also tells you tough noogies because you may elect to proceed knowing it may have no benefit. They also tell you the greater number of infusions you have the greater the benefit. At 2 grand a pop that sounds like double speak to me. Just keep paying and pray it helps. I'm not saying it may not help some people. It might. Everything in me shouts NO. Everything I read about this drug screams "dangerous in the wrong hands." It's a street drug that packs a wallop. Please be very careful if you are going through with this therapy. You need to be watched carefully. *** This post was written about a specific place and person which shall remain nameless. There are legitimate uses by doctors and hospitals.